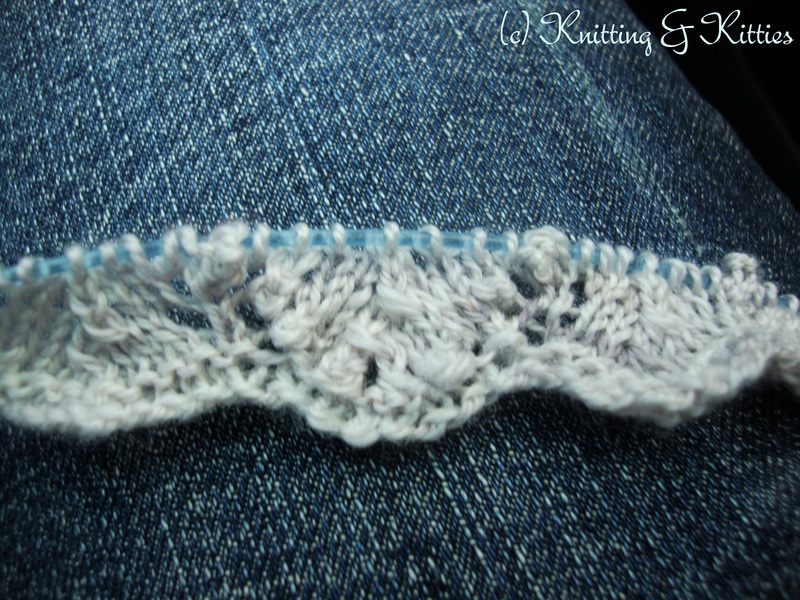 Remember my KAL shawl I started back in July while the Liu Family was on vacation? Yeah. I frogged it. I frogged my shawl after seven of the longest rows ever. 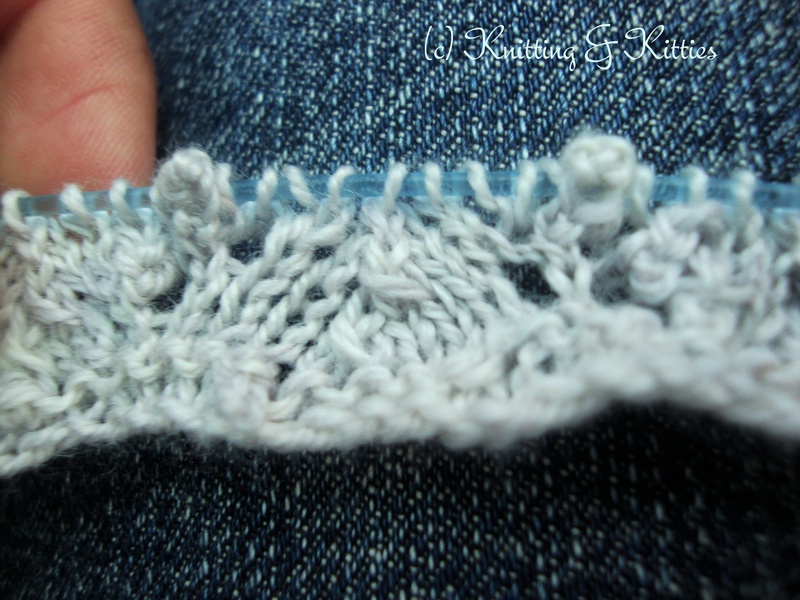 I figured if after seven rows I was still ending up with the wrong number of stitches, I needed to let it go. If I’m going to be totally honest, after three rows of not ending where the pattern said I would I figured I needed to frog it. I went on for four more rows mainly because I’m stubborn and was trying to will the stitches to line up properly. See how the bobbles clearly make a little V along with the YOs? The bobbles were all over the place or missing altogether. So I frogged it and cast on anew. I think I may have knit one row before I started working on something else, something more successful (something unblogable). I haven’t started back up on this shawl just yet. There are three new little babies planning on coming into this world this fall who will be in desperate need of warm knit hats and sweaters. And, of course, my beloved Halloween. But I’m going to come back to you little shawl. You are not off the hook (or needles, as it were) just yet. This entry was posted in Crazy-Making, Knit Along, WIP. Bookmark the permalink.